Do you want to join us here at Kids at Home? We’re looking for a full time Family Day Care Coordinator to work with us. Bring your passion for children and child care to our well established and growing Family Day Care Service. You’ll need a minimum Diploma in Children’s Services or equivalent Early Childhood qualification, and some experience in Family Day Care – and a good sense of humour would help too! If like us, average isn’t good enough and you want to help provide the best for our children and families, then we want to hear from you. For more information and to apply check out our link on Seek here. 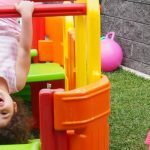 Tagged Child Care Jobs, family day care, Family Day Care Coordinator Vacancy, Kids at Home, Queensland.